A beautifully delicious and 100% salt free take on a Chinese classic. Heat oil in a wok over medium-high. Add scallion, garlic and ginger and stir fry 30 seconds. Add beef and stir fry 5 minutes, until beef has browned. 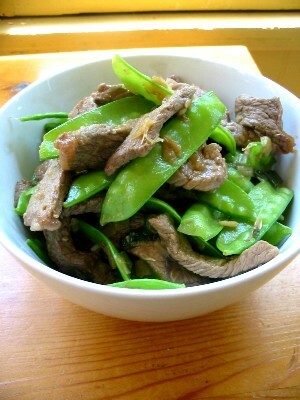 Add pea pods and faux soy and stir fry another 3 minutes. Remove from heat. Spoon over cooked rice and serve immediately.